TIME – 10 TO 1 P.M.
Handling Needle & Thread are no more a Girl’s job !! lets equip our kids with the basics today, so that they are not dependent on others tomorrow !! Also, lets give them this vital break from monotonous studies and stressful exam preparation ! Every kid gets a Certificate & Beginner Sewing Kit as a Take Away Plus Lots of Fun !! Don’t Worry !! Your kid start their practise in a Blunt Needle only !! 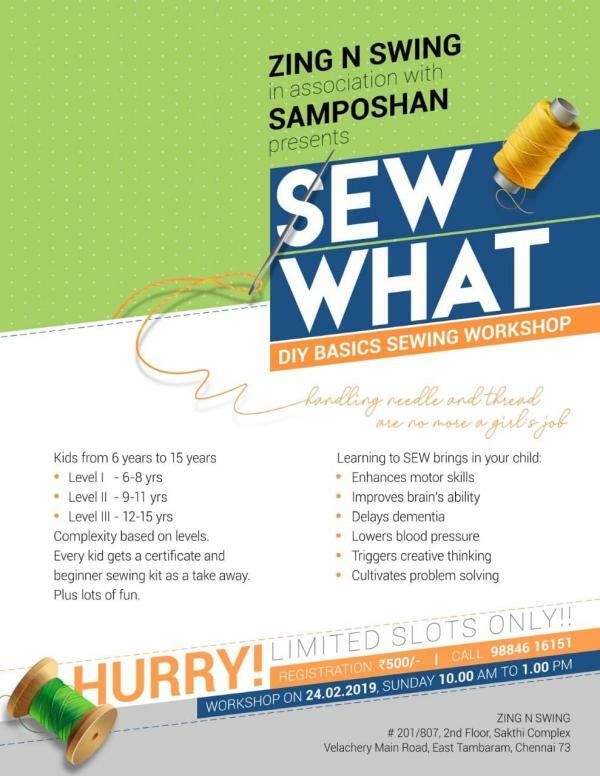 Please call 98846 16151 and Register !! Hurry !! Limited Seats Only !! !